I’m not one to favor certain looks for a particular season, but there is no denying when sweaters, coats and gloves come out to play, darker makeup looks are sure to follow. 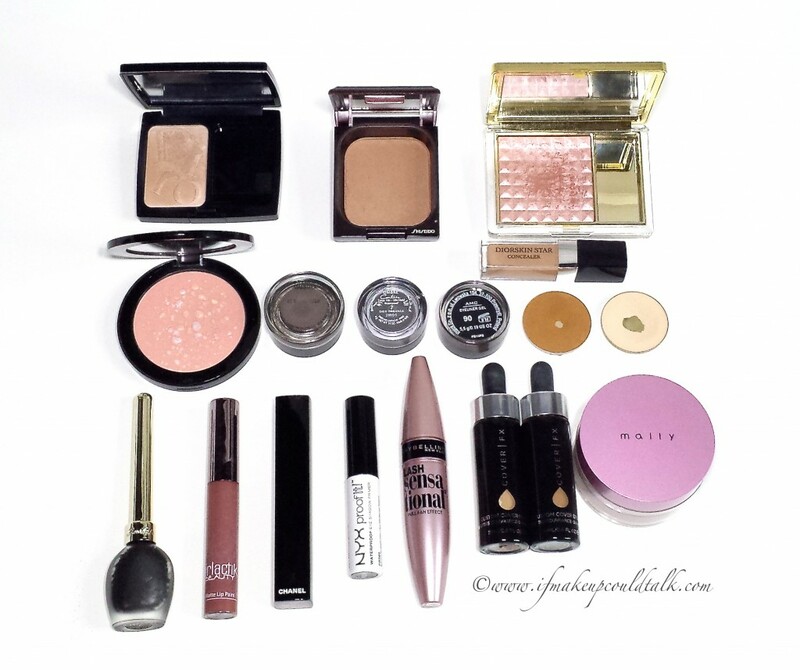 While going through my fall/winter clothes, I decided to also rummage through my makeup collection and awaken some beloved products out of hibernation. The final look was deep and sultry, yet unbelievably simple to achieve. I hope you enjoy my Fall Makeup Look. 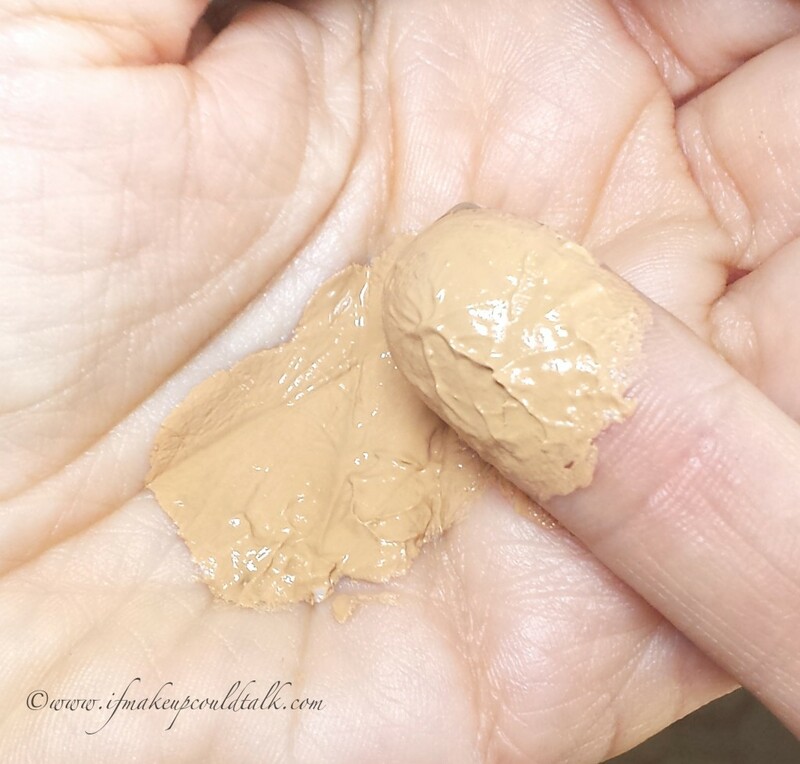 Start by applying the finest amount of NYX Proof-it Eyeshadow Primer all over the mobile lid (reviewed here). While the primer settles, fill in brows with Giorgio Armani Eye and Brow Maestro in 2 Wenge Wood. 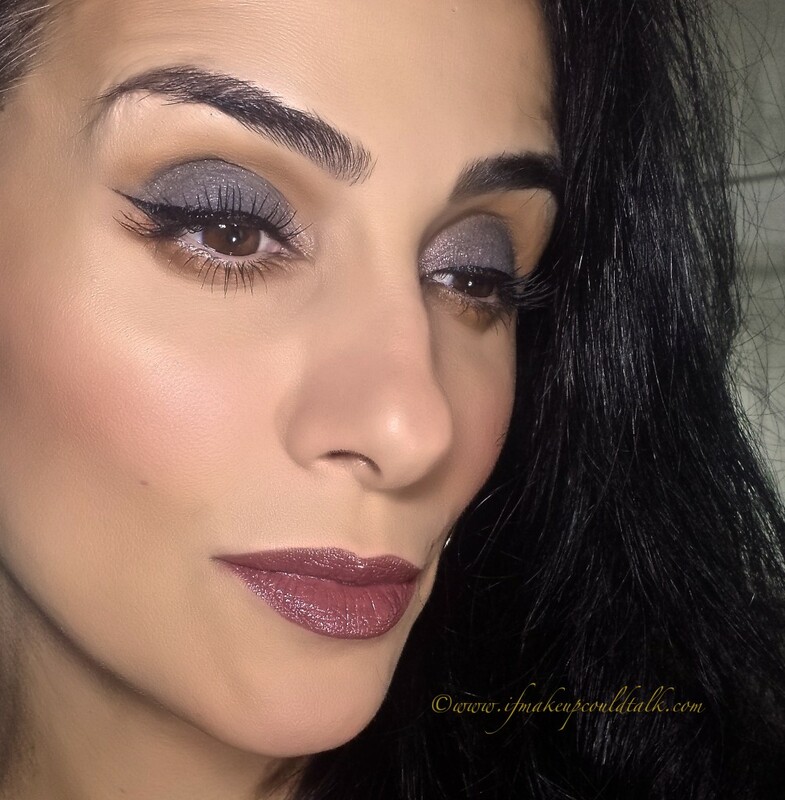 Using a synthetic brush (Sonia Kashuk) or fingers, apply Givenchy 7 Gris Organza Cream Eyeshadow (reviewed here) on the mobile lid in thin even layers. Taking any tapered eyeshadow brush (MAC 217, or Rae Morris #8 Brush), apply a warm brown color (MAC Uninterrupted) to outline and define the crease and lower lash line. Apply a flesh-colored eyeshadow (MUFE M-510) to blend out the crease color and highlight the brow bone area. 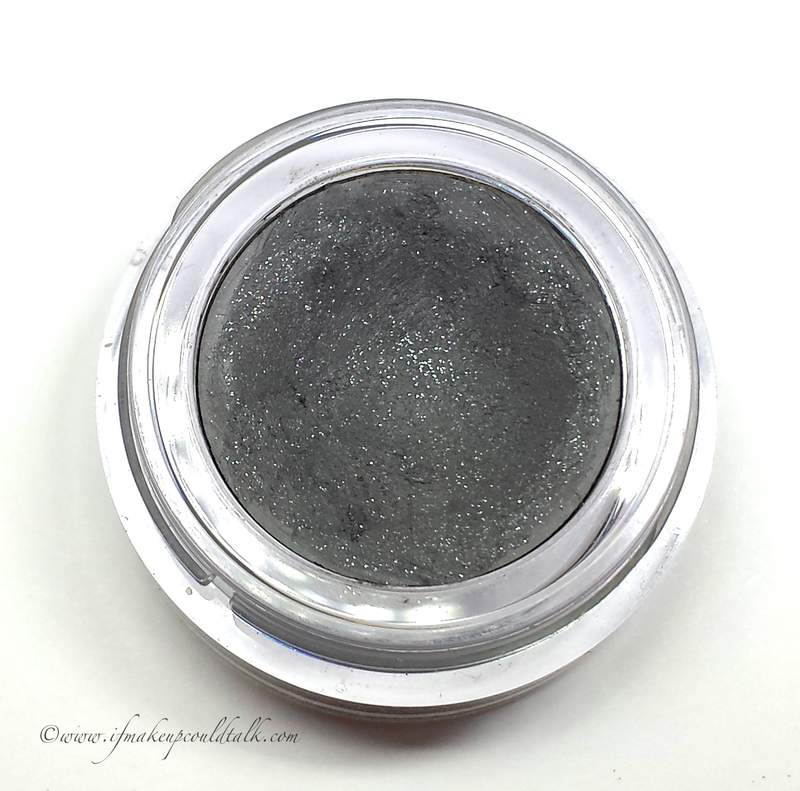 Add a complimentary cooler highlight shade (Estee Lauder Crystal Baby) to the inner corners of the eye. Line the upper waterline with a water-resistant gel liner like Inglot AMC #90. 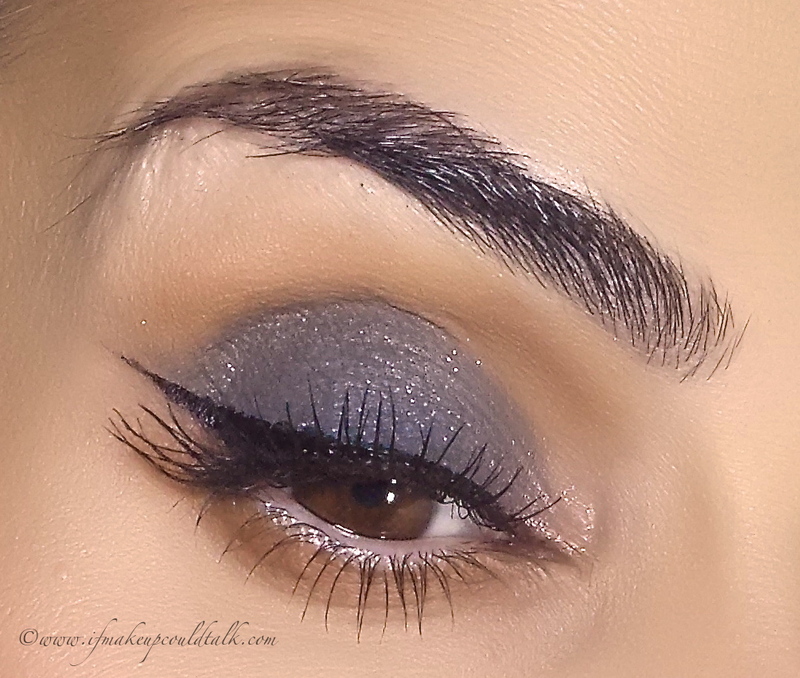 Line the upper lash line with a black liquid liner such as, Guerlain Black Liquid Eyeliner. Lately, I have been using my angled brush to apply my liquid liner for more precise results. Add your favorite mascara (Maybelline Lash Sensational) to finish off the look (reviewed here). 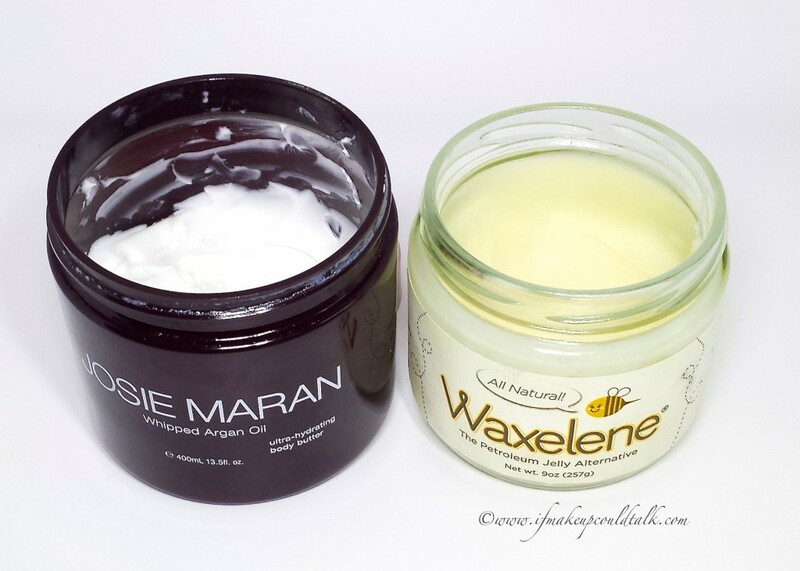 My daytime and evening moisturizers during the cooler seasons. Mally Perfect Prep Poreless Primer mixed with Cover FX Custom Drops in N40 and G60. It took three wipes to clean off the accumulated liquid at the opening of the bottle. Apply your favorite moisturizer and let it settle on the skin while doing your eye makeup. Josie Maran Whipped Body Butter is my daytime facial moisturizer (small amount) and Waxelene is wonderful as an evening moisturizer (Olivia from the Unknown Beauty Blog’s review here). Mix your primer and foundation together and apply thin well blended layers on the skin. 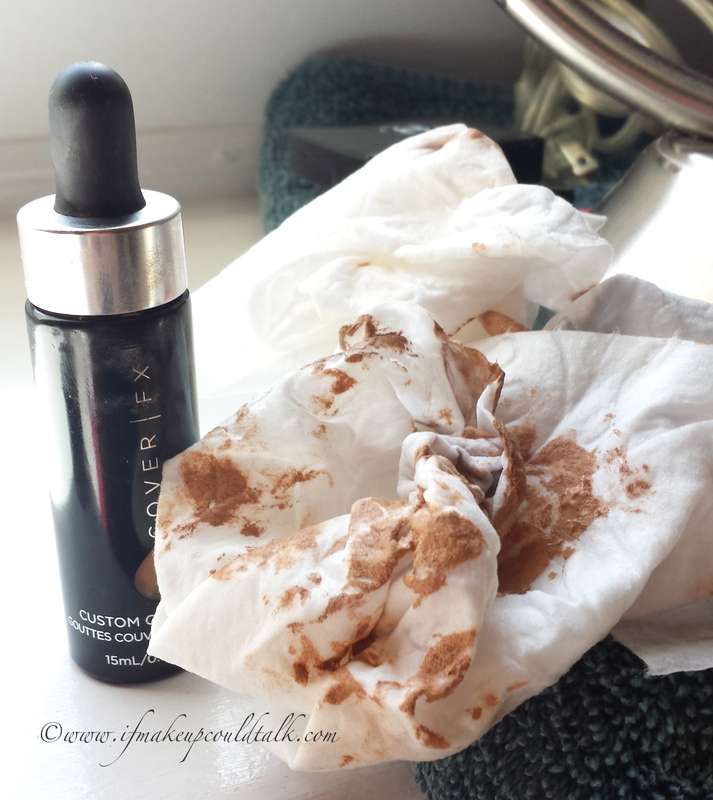 In my experience, Mally Perfect Prep Poreless Primer is the best medium for Cover FX Custom Drops (reviewed here). This combination leaves skin looking smooth and even. As mentioned in previous posts, the issue with theses drops is the packaging. My newer bottle seems to have also fallen victim to the horrible packaging (see photo above). It maybe time to search for an alternative–suggestions welcomed. 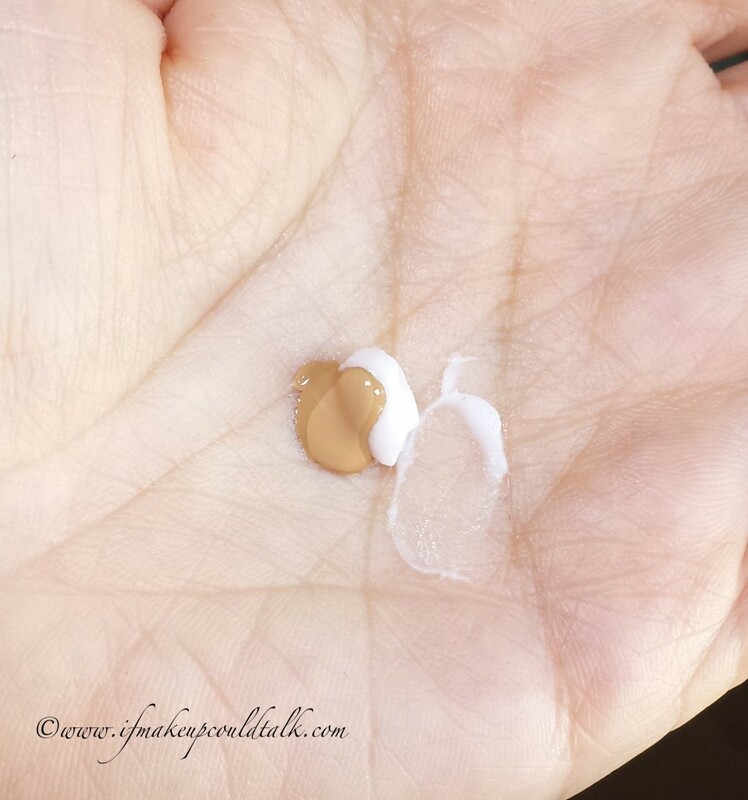 Apply Diorskin Star 003 Concealer (reviewed here) to problem areas. I use concealer to cover green veining around the bridge of the nose. I’m not a believer in the “triangle of light” theory, “clown contouring” or using too much concealer in general–less is best. Apply a light dusting of Dior Cosmopolite to the tops of the cheek bones and center of the nose. Apply Shiseido Oil-Free Bronzer gradually to the hallows of the cheeks, forehead, jaw line and neck. Using an soft brush, apply a warm peach colored blush such as, Vincent Longo Sandalwood, to the apples of the cheek and blend slightly onto the bronzer. Girlactik Demure Lip Paint topped with Chanel Audace Rouge Allure Gloss. 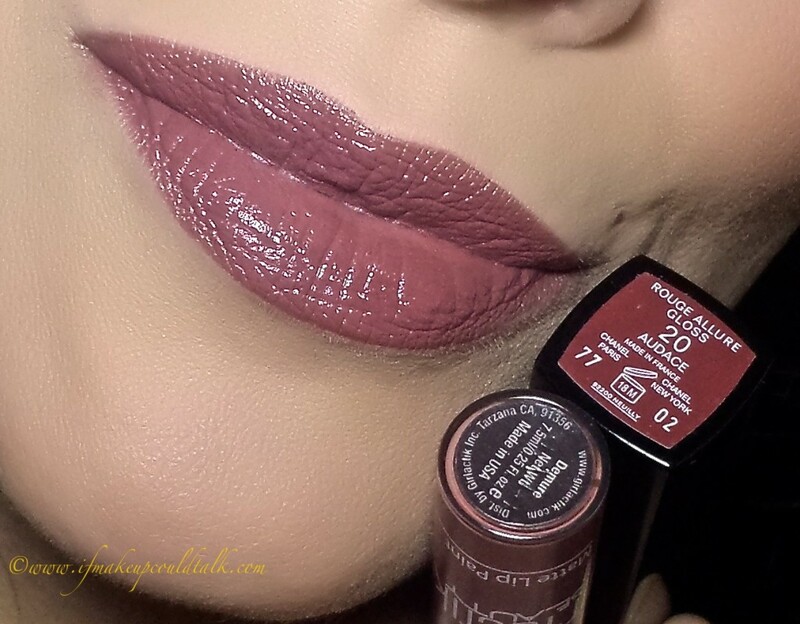 Girlactik Demure Matte Lip Paint was used as my neutral lip color. I swear Girlactik’s formula pairs well with every lipgloss and lipstick in my collection. Chanel Audace Rouge Allure Gloss is almost identical in color to Demure. This combo lasted 6 hours and the base color lingered well passed the 7th hour. Makeup would tell you not only is this look perfect for the fall, but it can be worn anytime of the year. The delicate silver shimmers contained in the gray shadow provide just the right amount of vitality to the look. 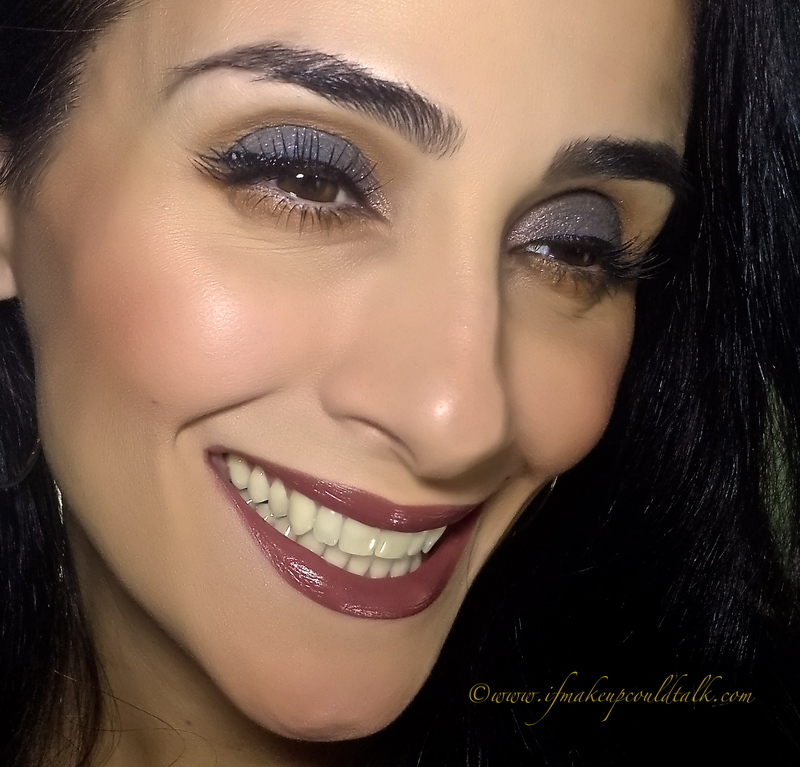 Adding a warm peachy blush and mauve neutral lip color, help balance out the cool tone of the overall look. As always, substitute any product shown, as you see fit, and have fun with your creation. Until next time, be well, stay safe and be happy. *IfMakeupCouldTalk.com is not affiliated with any brands mentioned, all products were purchased by me. *Compensation is not given for any reviews. *This post contains affiliate store links. *Click on each photo to enlarge. *Click on the rose highlighted words to take you to a direct link to each product. *All opinions are my own and based on my experiences. *All photos are property of IfMakeupCouldtTalk.com unless otherwise noted. *IfMakeupCouldTalk.com photos can only be used for other social media and publications with granted permission.